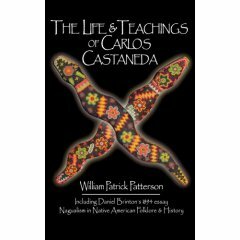 From the back cover: "Here, for the first time, is a thorough psychological examination of Castaneda's works. Using dreams, fairytales, and mythic and cultural parallels, the author brings Carlos' spiritual journey down to earth, showing that everyone's search for emotional balance and self-realization involves borders--between the tonal and the nagual, consciousness and the unconscious." Tales Of Power is perhaps the finest of the early Castaneda works. My dog-eared copy has been annotated, bookmarked, folded, stained, tossed, re-glued, and thoroughly scoured for even the tiniest nugget of new vision and understanding. When I first came upon don Juan's teachings I was as blind an apprentice as Castaneda himself had been during his first bumbling meeting with the toweringly incomprehensible and magnificently wise Yaqui sorcerer, don Juan. Although Castaneda had the advantage of the wondrous seer and sorcerers' presence and tutelage, I had the sorcerers' knowing and seeing in writing. Who can say how far a disciple can go in luminous awareness whether it is in the presence of a master seer and man-of-knowledge, or from the printed page? Consider that we learn from the printed page during our schooling, and while many graduate, a few select students soar! Perhaps you will soar, too. As don Juan has said.... power finds a way. "Today I have to pound the nail that Genaro put in, the fact that we are luminous beings. We are perceivers. We are an awareness; we are not objects; we have no solidity. We are boundless. The world of objects and solidity is a way of making our passage on earth convenient. It is only a description that was created to help us. We, or rather our reason, forget that the description is only a description and thus we entrap the totality of ourselves in a vicious circle from which we rarely emerge in our lifetime." From the back cover: "Don Juan concludes the instruction of Castaneda with his most powerful and mysterious lessons in the sorcerer's art - a dazzling series of visions that are at once an initiation and a deeply moving farewell." "The Mysteries shimmering behind the words will haunt you ...consistently vivid, precise, and powerful""
Castaneda is one of the most fascinating occultists of the past 100 years. Like Blavatsky, McGregor Mathers and Gurdjieff it is always hard to tell what is fact, what is fiction and what is visionary. I read the first book, Don Juan, while still in college and looked forward to every book thereafter. Every book had the strange ability to "zonk" me - to dump me into a sleepy somnolent state that was a cross between some trance state and a deep sleep. I think Carlos was the closest we have in the West to a mythmaker, a dreamweaver. Starting in 1993 Castaneda and other members of his party became slightly more public - Abelar and Donner gave bookstore lectures, later they and others (and even CC, on a couple of occasions) gave workshops on CC's "Tensegrity" system of body movements. Although CC kept referring to Don Juan, it seemed more and more as though he was speaking for himself as well; the student had become the teacher. In that sense the "Don Juan Mythos" embodied in the various books (Ixtlan, Power of Silence, Art of Dreaming etc.) is finally and elegantly replaced by this final work of Carlos', the Wheel of Time, which is spare and abstract. This book has been criticized for largely being made up of select quotes and paraphrases from the "Mythos" but that is not true; each selection from the books has a lucid, poetical introduction in the best Castaneda tradition of spare but beautiful language, followed by a critical commentary or additional observations at the end of each selection. Carlos wanted to go out with a bang, and in this book he has, by creating, without any effort or intent to do so, a book as compelling for modern westerners as the Tao Teh Ching must have been for Chinese when Lao Tse first recorded his thoughts. This video is the companion to Carlos Castaneda's book Magical Passes: The Practical Wisdom of the Shamans of Ancient Mexico. It covers the first of the five parts depicted in the book, in addition to an alternative long form version of the movements strung together and an added Saber-tooth long form (very exciting and invigorating, by the way.) After a sophisticated intro of dragonflies landing on the opening logo, the video begins with a surreal setting of silhouettes against a sunset colored background, as narration briefly describes the source of these movements. The video then quickens the pace to a thorough rendition of the forms depicted from the book, in full, breathing color. With vibrant instructors and smart videography, the movements are easily digested and the viewer is given a substantial amount of lessons in little time. Not only are the movements demonstrated in an easy to follow format, but they really work. And there seems to be an undercurrent of awareness stirred in the body, strikingly similar to episodes read about. Not that the world flips fantastically, but rather, a subtle ignition of my facilities. For anyone looking for a practical way to feel good, I recommend this video. At first I was lured by it being a piece of the Castaneda collection. After seeing the video, I soon realized that it brought many aspects of what I enjoyed on an intellectual level to an intimate one, to which I could actually apply in daily living. All in all, a visually intriguing set of movements which offers dynamic yet simple strikes, breaths, and leg movements. From Kirkus Reviews , May 1, 1992 An intriguing if incredible-sounding account of anthropologist Abelar's training by the same mysterious family of sorcerers that allegedly spawned Carlos Castaneda. In the late 60's, while she was sketching the mountains around Tucson, Abelar met Clara Grau, a charismatic Mexican woman. Somehow, Grau persuaded young Abelar to abandon her solitary and rudderless life and to visit her house in Sonora, Mexico. What followed was an extraordinary induction into a family of 16 sorcerers. In a self-consciously academic preface, Abelar describes her training as a sorceress as ``breaking the perceptual dispositions and biases that imprison us within the boundaries of the normal everyday world and prevent us from entering other perceivable worlds.'' In the telling, however, the movements and exercises that led up to the perceptual leap called ``the sorcerers' crossing'' is pure, well, Castaneda, full of walloping energies and wise teachers dispensing dramatic insights. Castaneda himself explains in a supplemental preface that Abelar was trained as a ``stalker''--as opposed to a ``dreamer'': no drugs, but an exercise called the ``recapitulation,'' in which Abelar had to liberate herself from every imprisoning memory and attachment. Why was Abelar chosen? While searching for a men's room at a California drive-in, the patriarch of the sorcerer family stumbled onto Abelar as she was seducing a pimply young kid. Then and there, he vowed to save her for a better fate. An absorbing riddle of a book. Much is made of the Abelars and the Graus, the stalkers and the dreamers, the two sides of the sorcerer family that live on right and left sides of their magical Mexican house like right and left hemispheres of the brain. This and much else here seems suspiciously symmetrical and pat. But who knows? -- Copyright ©1992, Kirkus Associates, LP. All rights reserved. Sorcerers in Mexico believed that there where two paths to "freedom", practicing the Art of Dreaming or practicing the Art of Stalking. Castaneda, a dreamer, wrote mostly about the Art of Dreaming, which is associated with the left side. However, his books are somewhat sketchy about the Art of Stalking. Abelar was a Stalker, which is associated with the right side of the body. Sorcerer's Crossing provides a much better guide than Castaneda's books for learning stalking and is of interest to those who want to follow this path. Stalking is the art of stalking oneself, it reminds me of yoga in that it teaches you to calm your mind and get rid of bad influences from your past. It is a nice way to live, even if you do not make the sorcerer's crossing. I have read so many books promising joy in my life, yet I have read none so simple and practical as that of the Four Agreements by don Miguel Ruiz. The book is a beautiful instruction guide to achieve a life of freedom and happiness. He teaches four lifestyle commitments, which can transform life into the realization of your own personal dream. Written from his heart, the Four Agreements has made profound changes in my life. What seemed insurmountable challenges became powerful lessons which I was able to embrace with faith and love. What is the dream that you hold for yourself? Allow the magic of don Miguel's wisdom to shift your life into a masterful awareness of all you want for yourself. Become the power that you want in yourlife, realize the opportunites before you and then you can live in a heaven created from the beauty of your own heart. I have given the book to many people, who, only reading it once, have initiated life changes. My personal experience with don Miguel is that no matter how little you are exposed to him, your heart will always be touched. He and his words are the touch of an angel. Treat yourself to a world without limits! You can't break it down much more than that. These basic goals and hopes are wonderfully helpful and a path to making ones life a bit easier. While, I'm not one for a lot of self-awareness books, self-help, etc....but, I certainly found this one helpful, honest and forceful. It made me take a good look at myself and make some changes in how I plan to proceed from this day. If nothing else, give yourself a chance and read this book. It might be helpful. What is true belief in self? How can we learn to believe enough in our own abilities to follow our own dreams with total conviction? What can we do to break free from our self-limiting doubts and fears - all that stops us from realizing our full potential? The Mists of Dragon Lore, by Theun Mares, describes how we are imprisoned within the common dream - slaves to our past conditioning, with little control over our thoughts, feelings and reactions. In this book Theun Mares shows how we can use the techniques of the Warrior's Path to recognize the nature of the dream and gain the belief and confidence in ourselves to wake up to our full potential and claim our freedom. Once we have woken up in the dream - once we have started to realize our potential - Theun shows how we can take full control of the circumstances of our lives and carve out a unique life, based on our own dream - a life filled with joy and meaning. Topics include: Waking up in the common dream. How to acquire enough belief in self to control the contents of the dream. How to acquire the true honor of the warrior. The life challenge of stepping into the unknown. The powerful technique of learning to shift the focus. The meaning and existence of alternative worlds, and the mysteries surrounding the 21 different aspects of awareness. In its September issue Magical Blend Magazine reviewed The Mists of Dragon Lore, commenting: "The introduction of this book is an amazingly clear and jargon-free explanation of Toltec teachings. Theun goes on to explain that Earth is at a crossroad and the intent of each individual will make a difference. We won't have doom and gloom unless we are lazy and weak...This book must be considered by any serious student of Toltec wisdom as a unique introduction to the subject-matter." Mists of Dragon Lore is the third volume in the Toltec Teachings series by Theun Mares. In this volume Theun continues "disclosing the inner teachings of this ancient tradition" and he specifically "reveals the true nature and application of The Mastery of Awareness and the Art of Stalking." As a nagual, or leader of warriors, Theun teaches us how we can live our lives as warriors of Freedom and gain immeasurable benefit from any and all challenges in our lives. This volume is a clear and pragmatic treatise on the common dream of humanity, how to wake up in this dream, and ultimately how to achieve freedom in this awakened state. Other topics such as shifting the focus, true combing of shadows, going beyond the veil of time, and safely accessing the 4th dimension are also covered. I say, with all my heart, that Mists of Dragon Lore has been one of the most important books that I have read. It has been, and is, very instrumental in my life as I am discovering my full potential. I have read the teachings and I am applying the principles covered and, without a doubt, my transformation is directly proportional to my living these teachings. This book is the quintessential manual for anyone who is serious about waking up in this common dream and "surfing life's challenges with skill and joy." I more than highly recommend this book!